1. 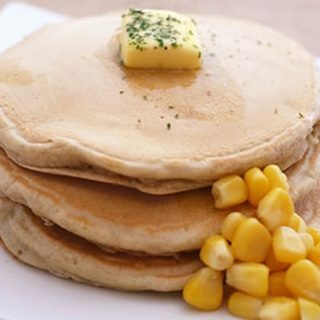 Mix the Kyushu Pancake flour with the corn soup mix. The corn soup mix can be purchased from supermarket. 2. Add in the corn kernels into the mixture. Cook the mixture on the pan. 3. By the desired toppings you wnt to add on to the taste you want on top of the pancake.